That slice of pizza you had in Italy could earn you a job. Well, not directly. However, studying abroad does benefit you professionally. 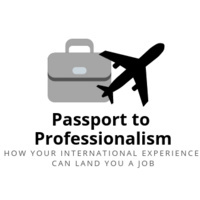 Are you a study abroad alumni interested in learning how to utilize your international experience on your resume and in an interview? If that sounds like you, stop by our 50-minute workshop. GEO has partnered with the Career Center to teach students how to take advantage of these skills to further their career goals. We hope to see you there!